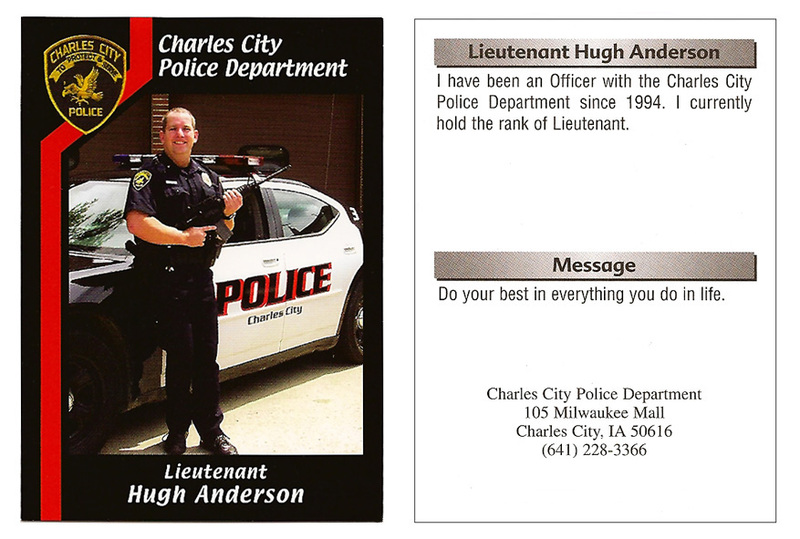 Hugh Anderson is a Police Lieutenant for the town of Charles City, Iowa. During his years of service, he has seen the types and quantities of illegal drugs change and increase. 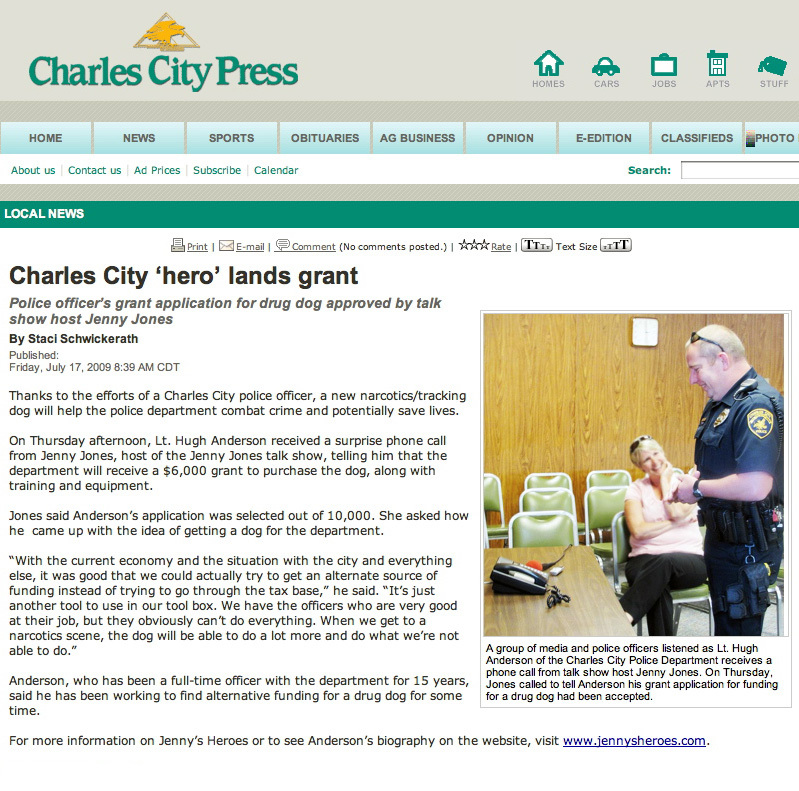 In order to make his community of 7,000 a safer place to live, Hugh requested $6,000 to purchase a narcotics/tracking dog. “It is my dream to improve the quality of life in my community by curbing the sale and use of illegal drugs,” wrote Hugh in his application. “I feel the dog would be a huge benefit in this endeavor. The potential drop in other related crimes might make citizens more apt to leave their homes and enjoy our beautiful town and what it has to offer.” The dog will also be used in local schools as a teaching aid, hopefully making a positive impact on children’s lives. Hugh also believes that the dog’s tracking ability could save a child's or dependant adult's life who might wander off during inclement weather. 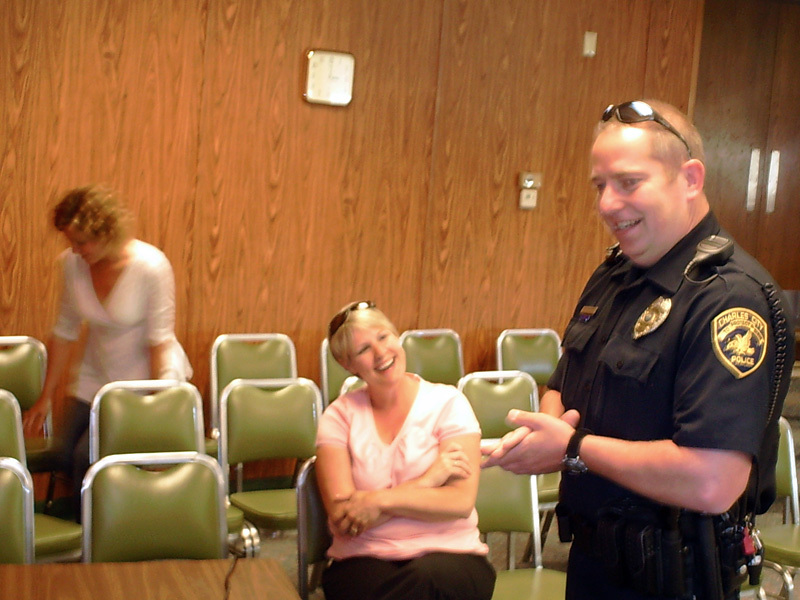 Hugh has been with the police department for 15 years and oversees their drug investigations. 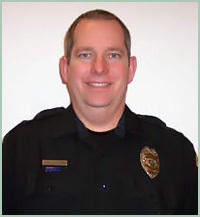 Prior to becoming full-time with the department, he worked as a reserve officer. 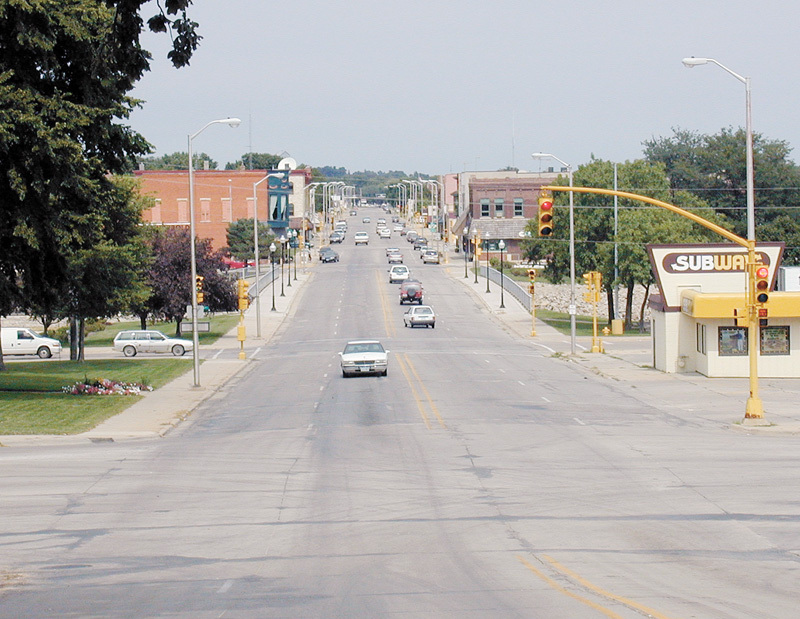 Hugh was raised in Charles City where his parents still reside. 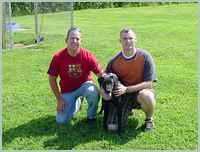 "I have attached a photo of Zach Eckenrod and Midnight. There is cash and drugs in the background. 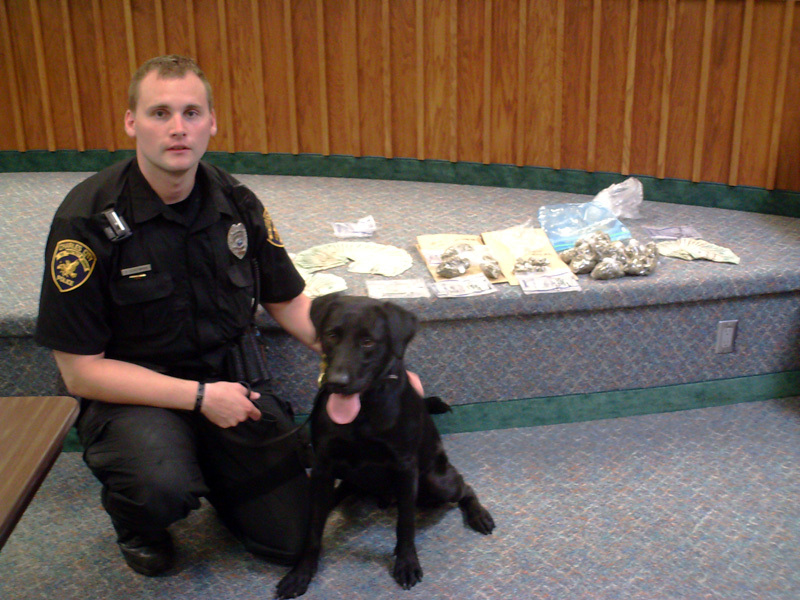 Midnight assisted it the search warrant where this was all located. 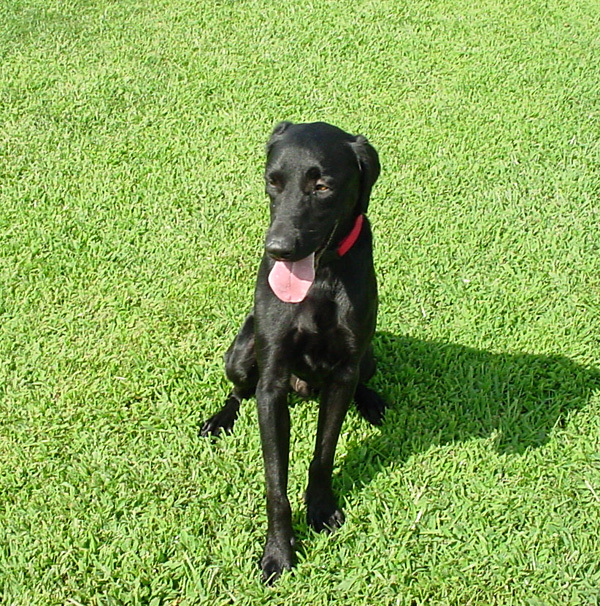 Also, Midnight is still training and is about half-way through his training for the tracking part of his training. He still trains about 16 hours a month for the narcotics part but is able to work with us. We use him on a lot of traffic stops and search warrants. 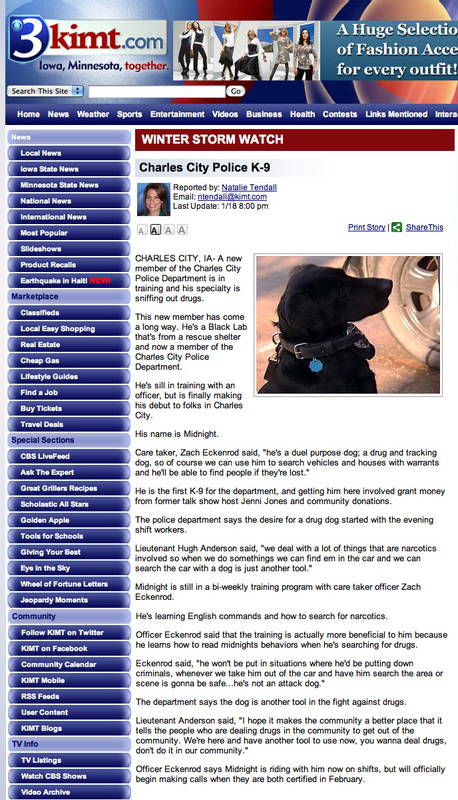 Thanks again, Hugh"
"We went down (to Midwest K-9 in Des Moines, IA) and Officer Zach Eckenrod and 'Midnight' got together. Midnight is a little over a year old and full of energy. We will be picking him up after they finishing training him (probably about a month)." 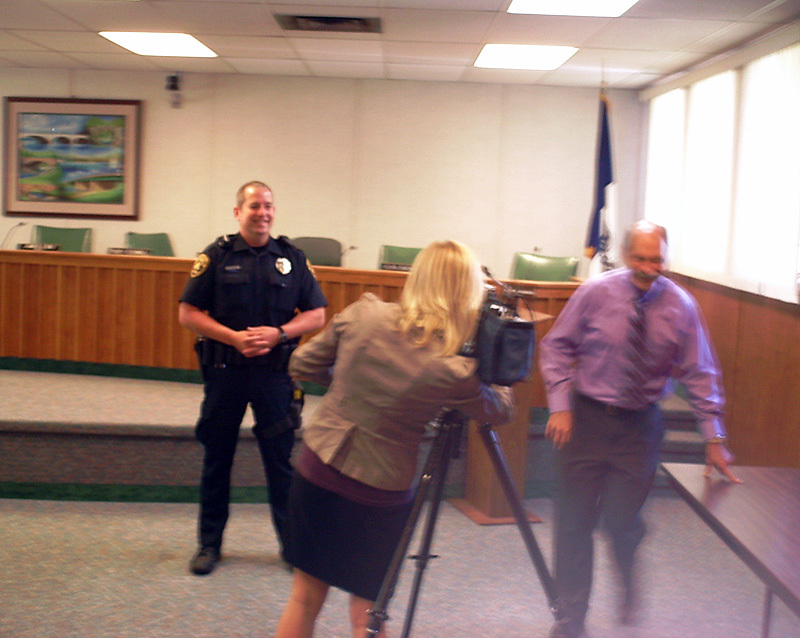 "Chief Wendel selected a dog handler and notified him this last week. It is a fairly new officer, Zach Eckenrod. He has been on our reserve officer force (sort of volunteer) and just got on full-time after he got back from Iraq. He is pretty excited about the whole thing. I was doing bar checks last Friday night and walked into one of our bars and a guy came up and asked about the dog. We got to talking and pretty soon I had a whole group around asking about the dog and when it would be here. And then, yesterday I was leaving the courthouse and had an individual stop me and ask how they could help with the whole K-9 program. 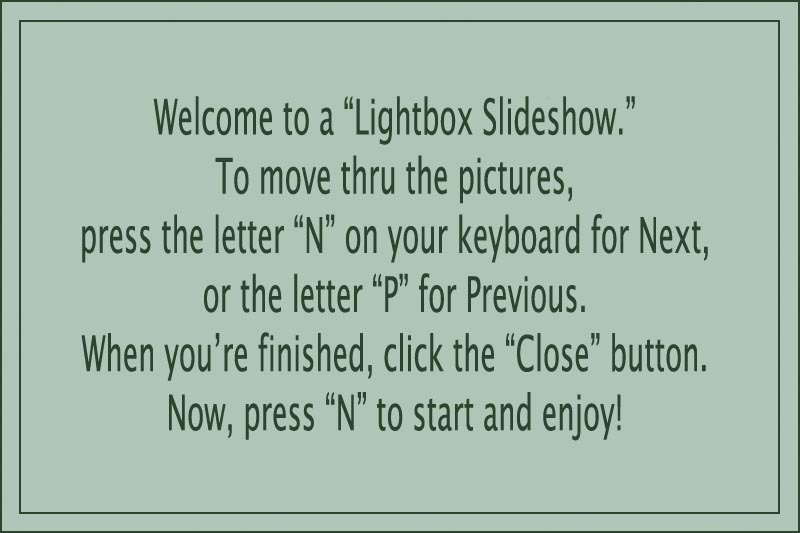 It's great to see so many people so excited about it. 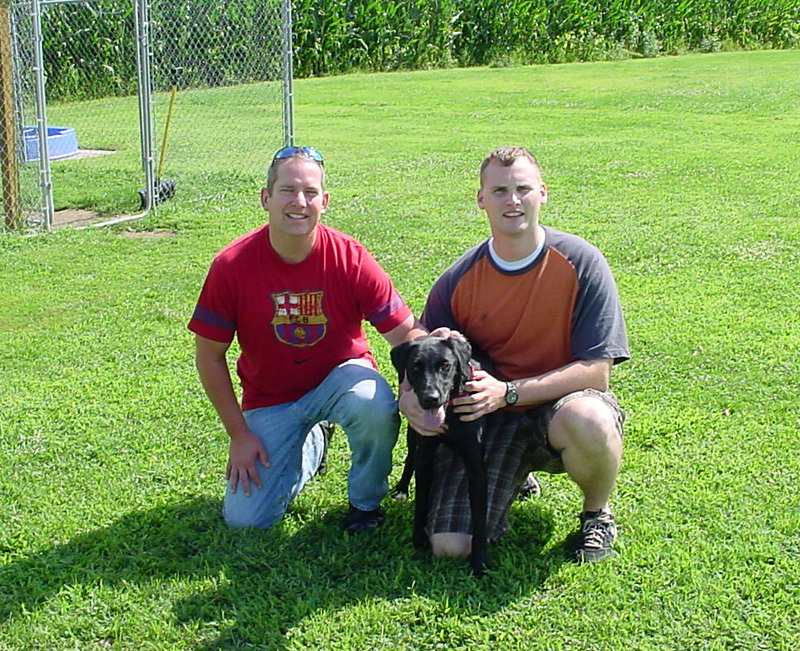 Officer Eckenrod, Chief Wendel and I are going down Monday to match the dog with Zach. 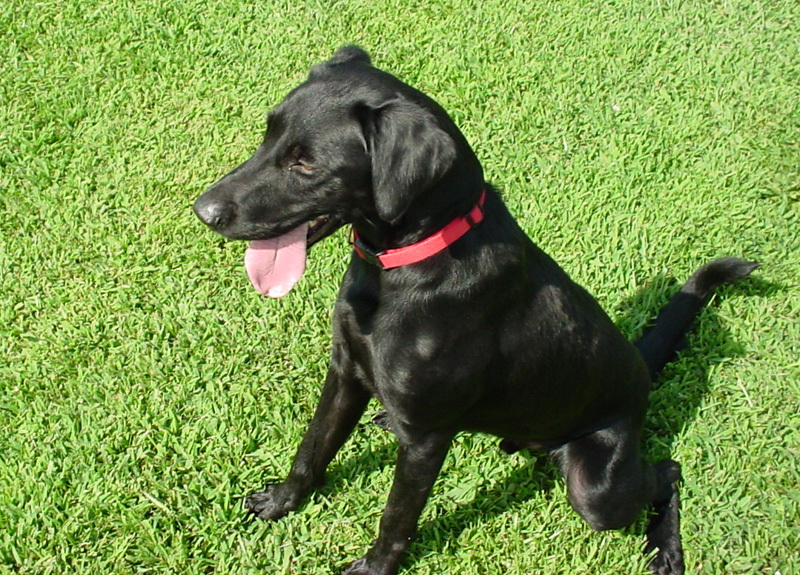 The trainer says that he wants to match the dog with the personality of the handler. It looks like the trainer will train the dog for about a month and then take Zach down and get him trained." 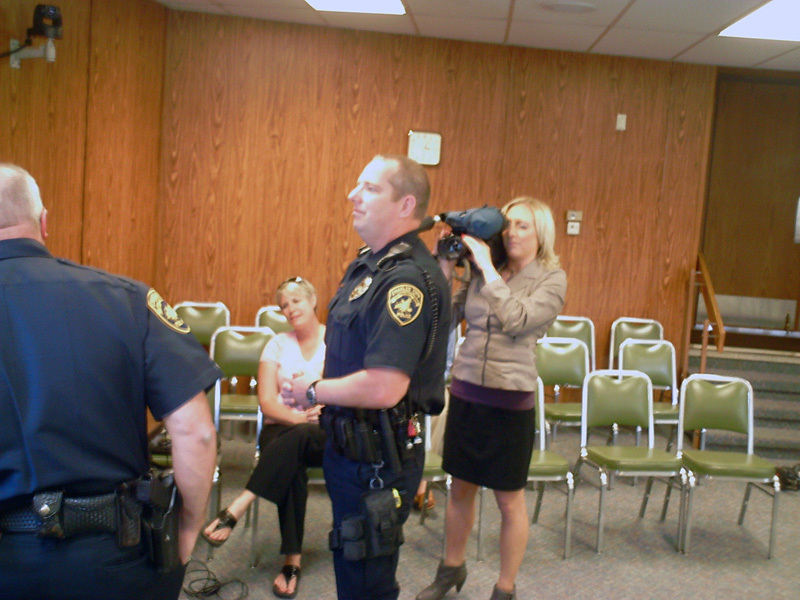 Hugh walked in to what he thought was a meeting set up by Police Chief Mike Wendel. He was actually greeted by the local press and me on the phone saying that he was receiving the grant he requested to purchase the dog. Hugh told me that the dogs are partially trained in Des Moines and then the handler will go up there for a week to train with his dog. 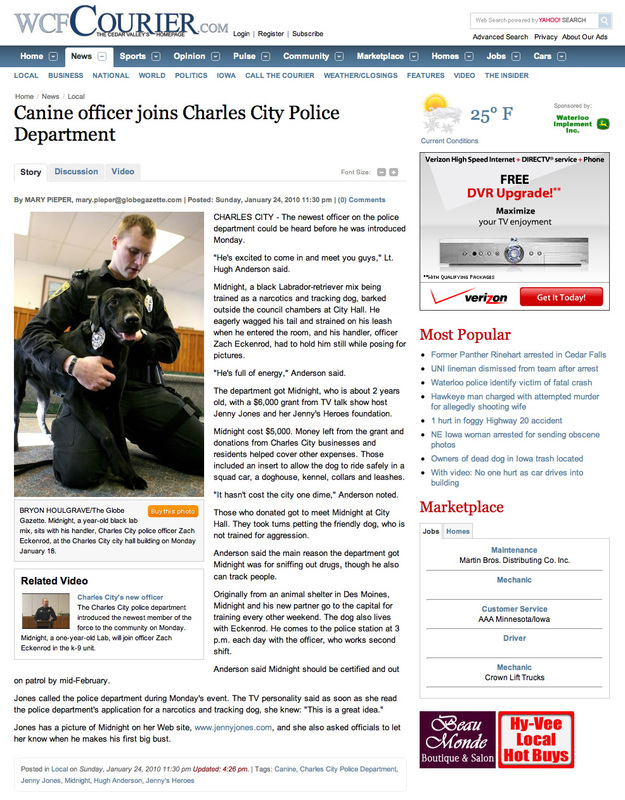 He hopes to have the dog in Charles City within a few weeks. I told him that I saw one of these dogs in action when I was on a cruise last year in Canada. I was standing on the deck and saw all the luggage that was coming in being inspected by the dog and his handler. I was so impressed with this dog’s work that when I saw Hugh’s application, I knew this was a good thing to do. Hugh said he would have hugged me if I was there so I hugged him back over the phone. 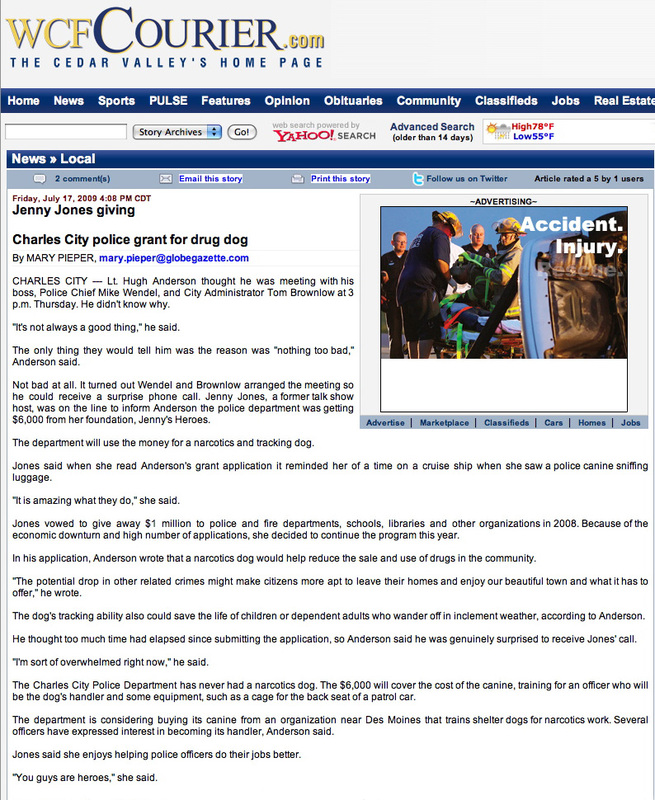 07/16/09: Jenny wrote... "Hugh, I have seen these highly trained dogs in action and it’s very impressive what they can do. Congratulations on going high-tech!" 07/16/09: Damon wrote... "Congratulations, Hugh. 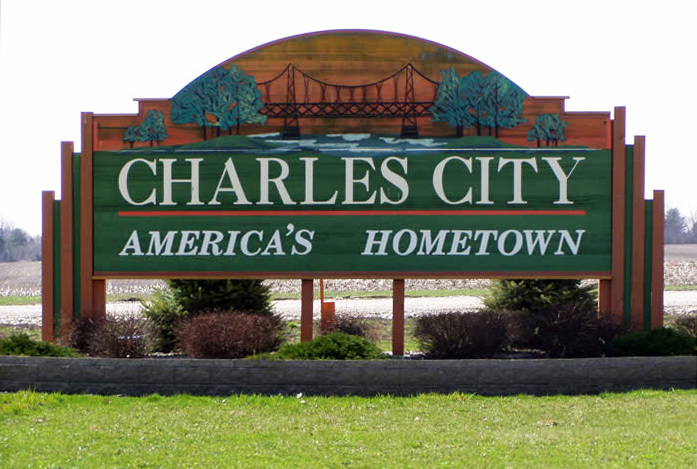 The citizens of Charles City are very lucky to have you working on their behalf. 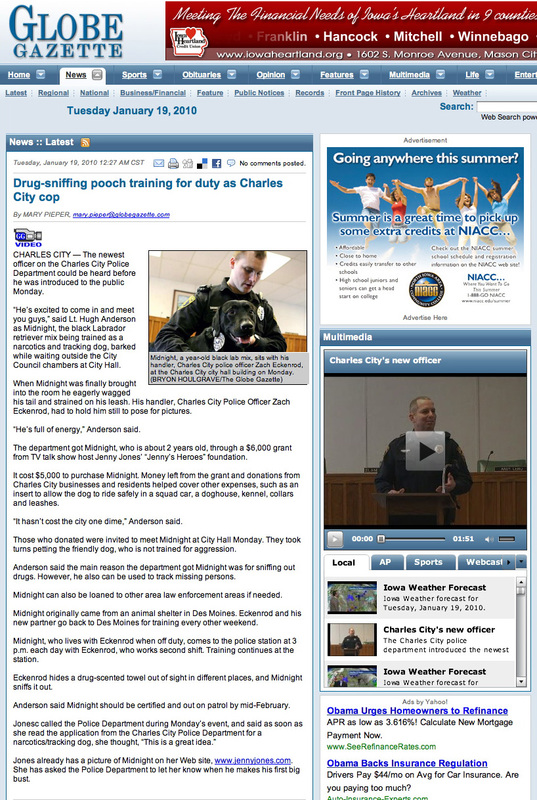 The new police dog will be a great addition to your department." 07/16/09: Rhonda wrote... "Hugh, Glad I could be there to see you get this, was it your lucky day or what!!! I'm proud of you!" 07/18/09: Karen Weber wrote... "Congratulations, Hugh. 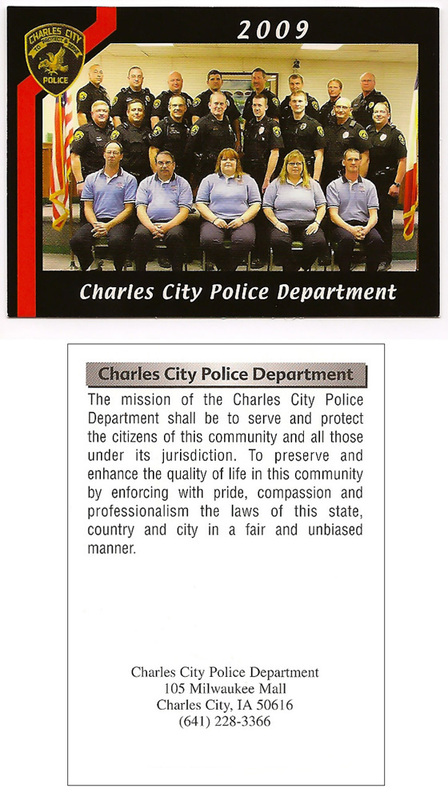 Charles City should be very proud to have a great officer like you on the force. 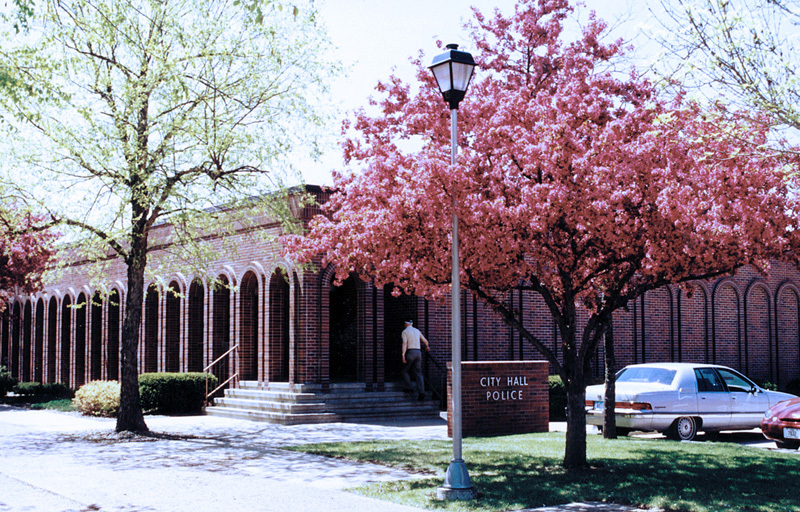 You have done a lot of good things for the community." 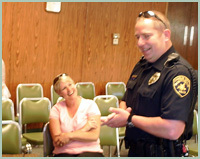 07/19/09: Wendy Luft wrote... "Hugh, Thank you for always going above and beyond at the Police Department. This is going to be such a great addition to our force. Not only are you a great leader, but a great motivator. THANK YOU FOR ALL YOU DO!!!" 07/20/09: Cameron Manson wrote... "Way to go Hugh! 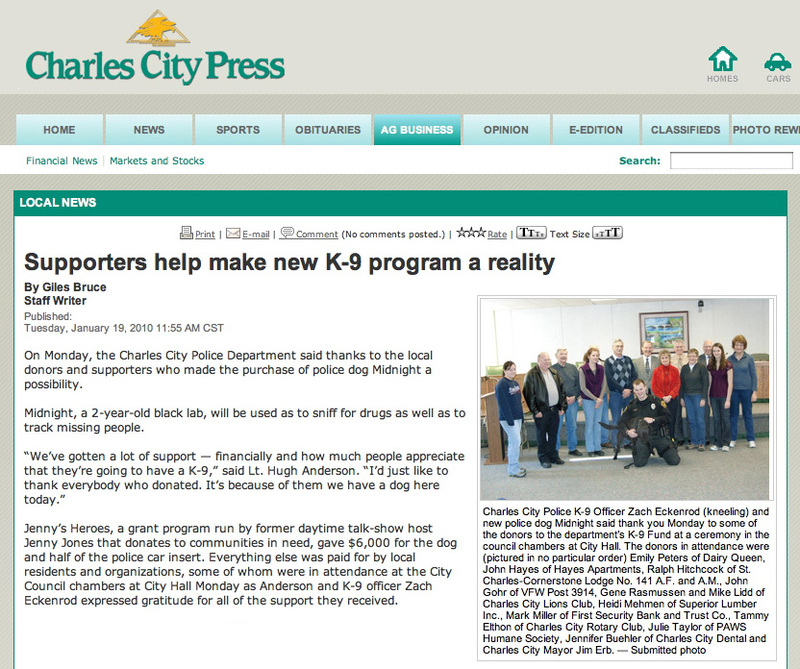 Charles City has a huge need for a dog and I am so glad you went the extra mile to look for the funding. Hopefully I will get to see it in action some day." 07/21/09: Anthony Solis wrote... "Congrats Hugh. 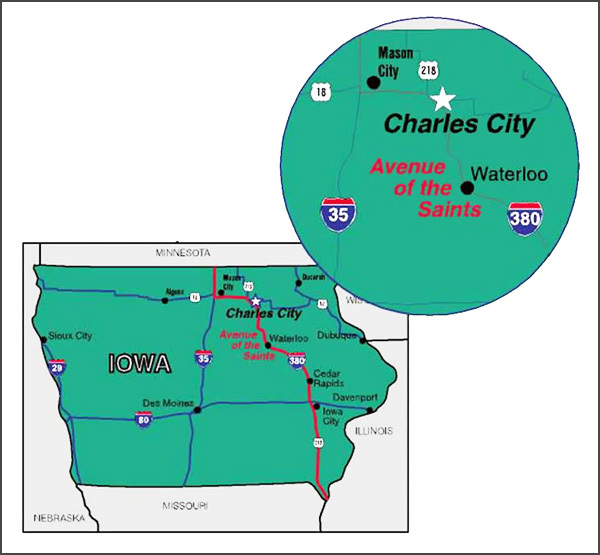 You and Charles City have a new special best friend." 08/08/09: Liz wrote... "Hugh, I can't think of a more important addition to a force than a trained dog. It never occurred to me that the dog and owner had to be a match, but does that ever make sense. In some ways I can see that partnering with a dog can even rival partnering with another officer. Just the very sound of a tracking dog will stop some criminals in their tracks. Congratulations." 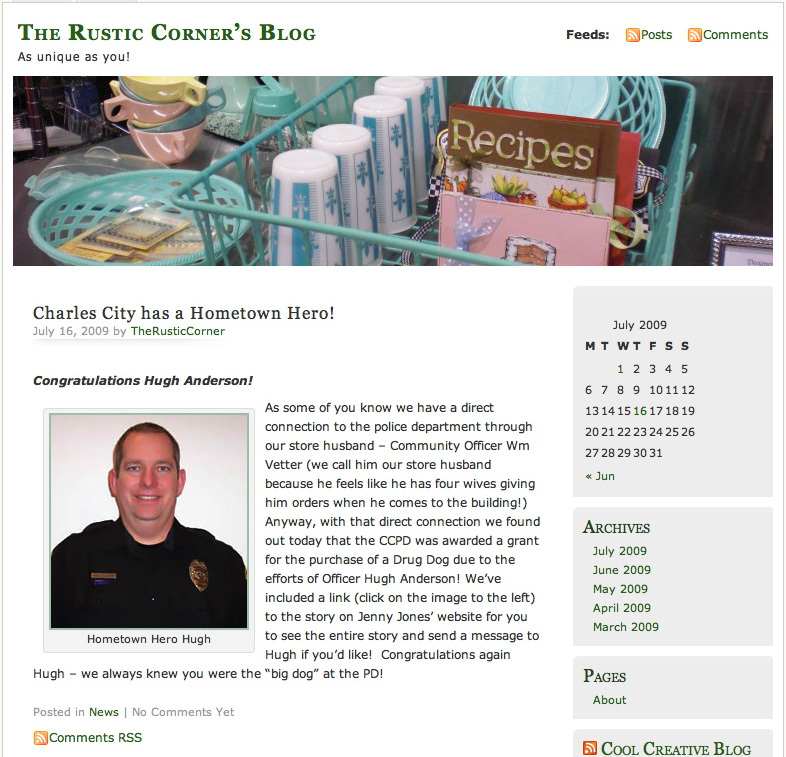 08/10/09: Kara Vogelson wrote... "Hugh - Congratulations on the grant and the new addition to the police force. It is great to see the community excited and already taking ownership with the dog. 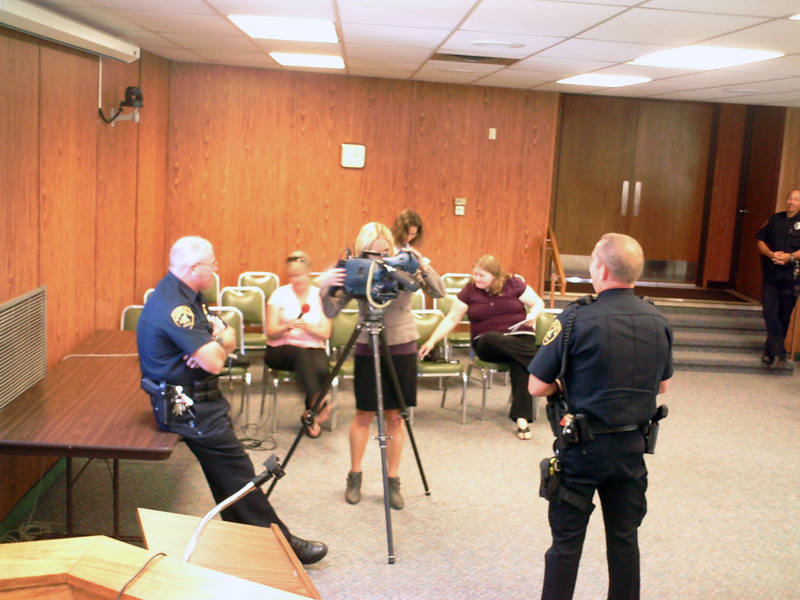 You, Zach and the Chief have a lot to be proud of within the Department and the community."